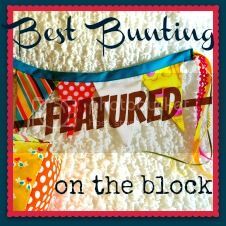 Best Bunting On The Block: "Welcome Home"
Alyssa at "My Clever Nest" wins the award for Best Daughter-In-Law via her use of bunting. 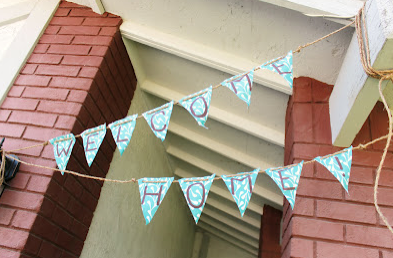 Using rope and left-over nursery fabric, choosing between tacos and pizzas, she created a warm "Welcome Home" bunting for her visiting in-laws. 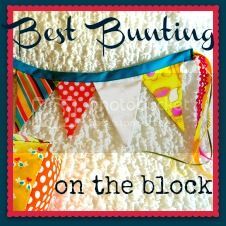 To see her full post, click here. She gives a great template and tutorial. 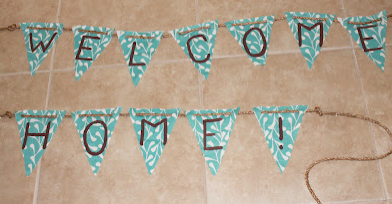 Who do you need to welcome home?